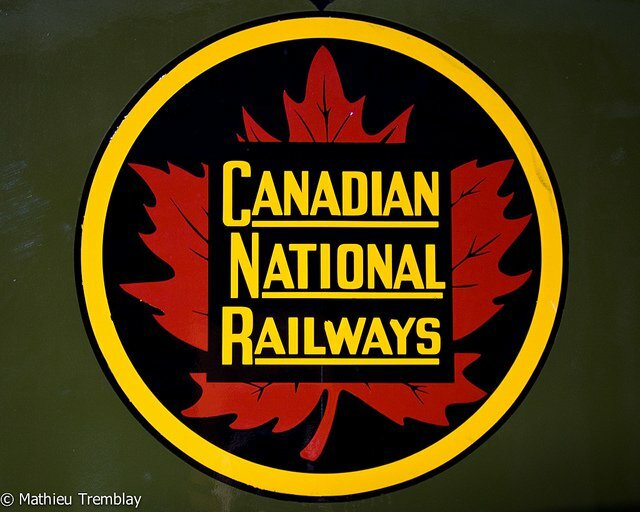 Been meaning to do a nice little post on the CN (Canadian National Railway Company ) logo by Allan Fleming, as it’s close to being one of the most iconic of brand marks ever designed. Since my previous post on the British Steel logo designed by David Gentlemen I became more inspired, and motivated, to do my own CN logo post. My plan was to try and find alternative imagery for the CN logo as I know many websites have already covered, mentioned and referenced the CN logo. In my search over the last few days I have come across some fine websites that have done a great job of cataloguing the CN logo in a similar way to what I had planned myself. This post will include some of the imagery and appropriate back-links to the originating website. Allan Fleming (left) with Charles Harris at the launch of the CN logo in 1960. 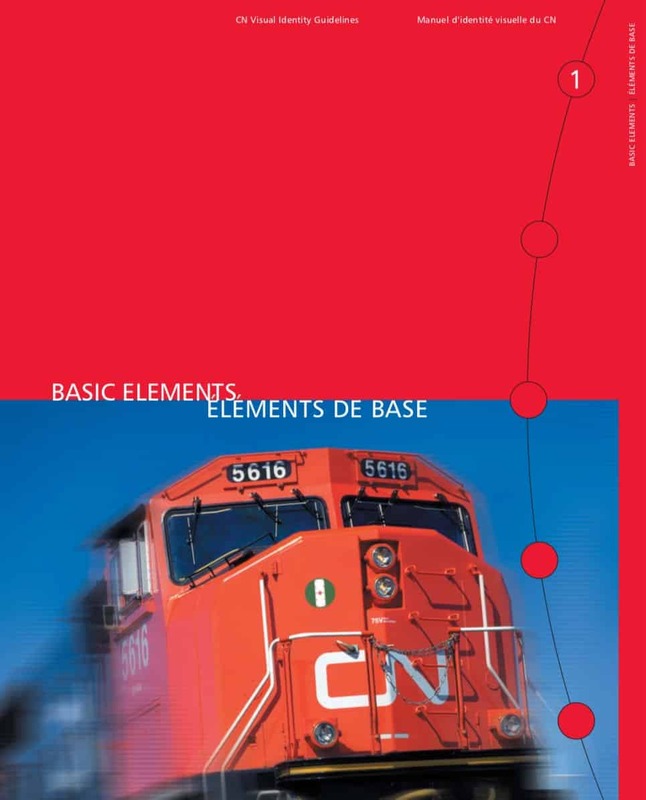 The most notable of these websites that I viewed is The Canadia Design Resource which first posted details on the CN logo & brand back in 2006. 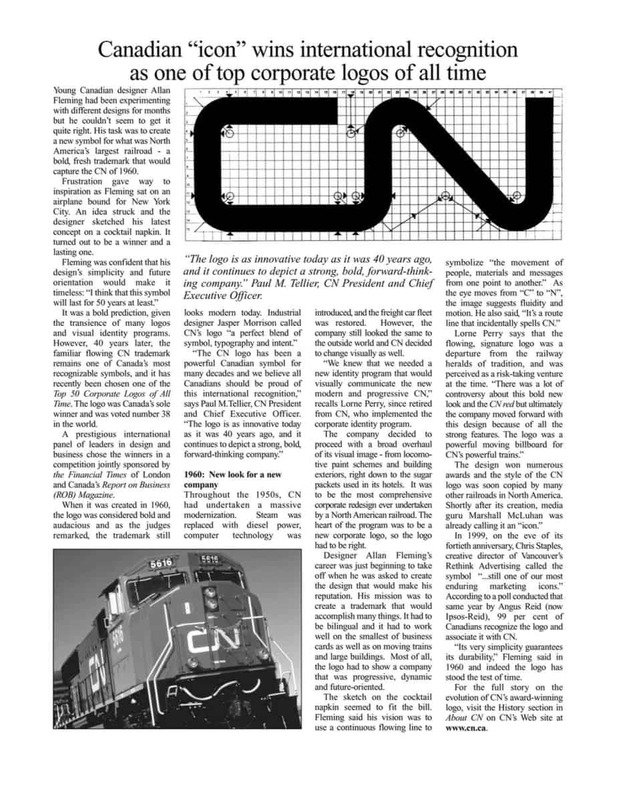 A detailed history on how the CN logo came to be can be read over at a rather tired looking About the 1960 CN logo. 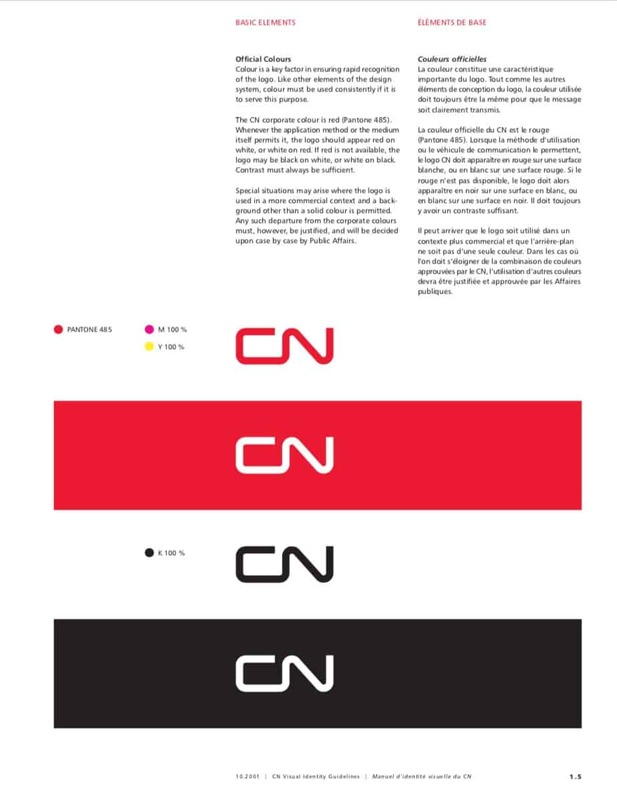 Although not a pretty web page by todays standards the information contained will provide you with all you need to know about the CN logo. It’s a must read. The gorgeous photographs of the CN train towards the end of this post can be obtained by visiting the official CN website and navigating to their Image Gallery where you can download very high resolution photographs. 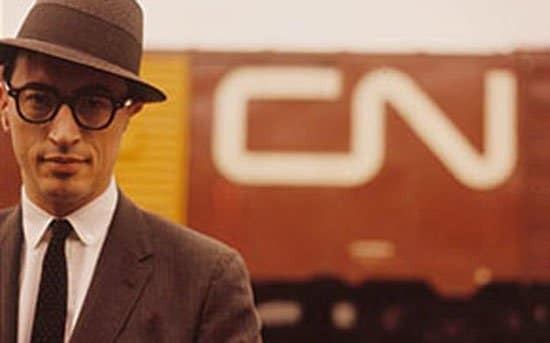 Allan Fleming standing in front of a CN boxcart. The following select paragraphs are just a few I have lifted from About the 1960 CN logo. After experimenting with countless possibilities, Fleming hit on a particularly inspired design while sitting on a New York-bound airplane. He quickly sketched the idea on a cocktail napkin – and CN’s logo was conceived. The continuous flowing line symbolized “the movement of people, materials, and messages from one point to another,” Fleming said. As the eye moves from “C” to “N”, the image suggests fluidity and motion. 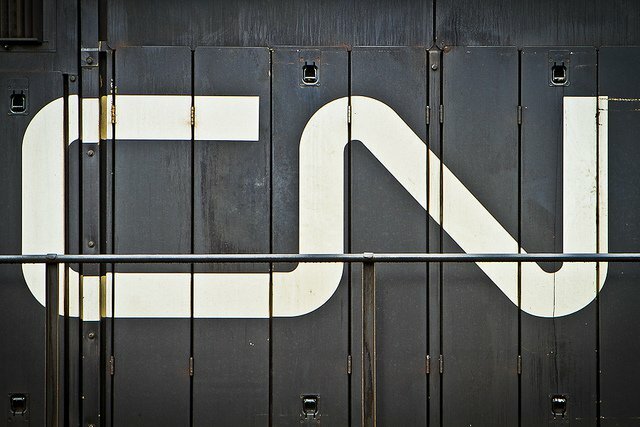 “It’s a route line that incidentally spells CN,” Fleming explained. The following images charts the progress of Allans idea process showing just how wild logo sketching can be. From these early sketches iconic logos arise. 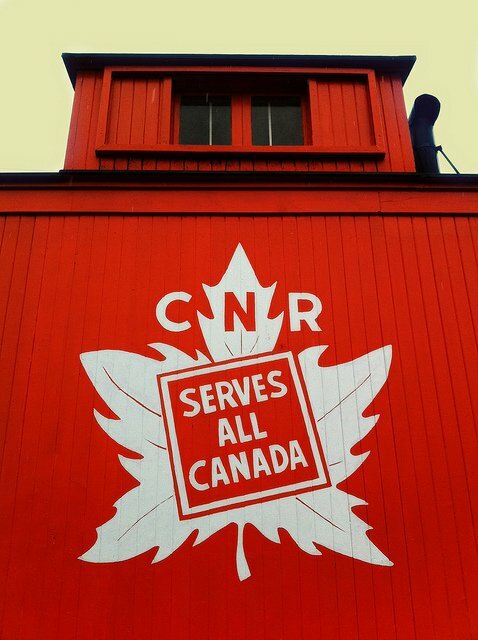 Nice little selection of old and new CN related photographs, including the old Canadian National Railways logo below. 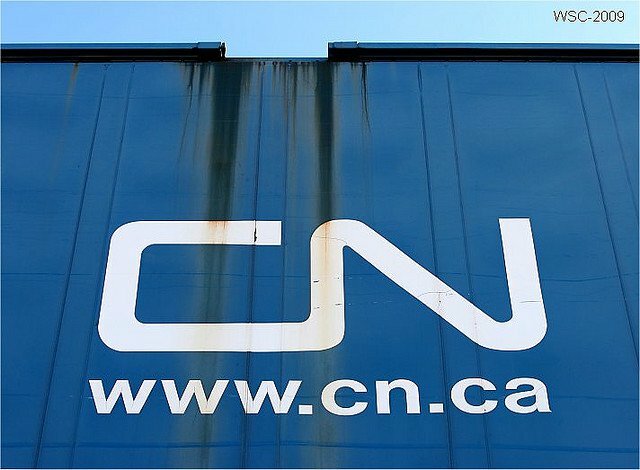 Visit the CN website and navigating to their Image Gallery where you can download very high resolution photographs. 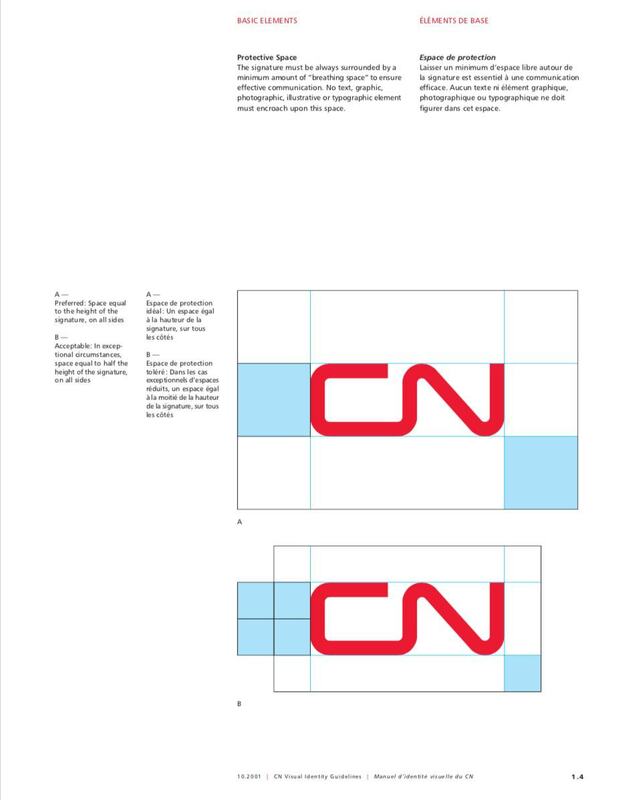 To wrap up here are the CN Logo & Brand Identity Guidelines which you can download as a PDF via a link on LogoDesignLove.